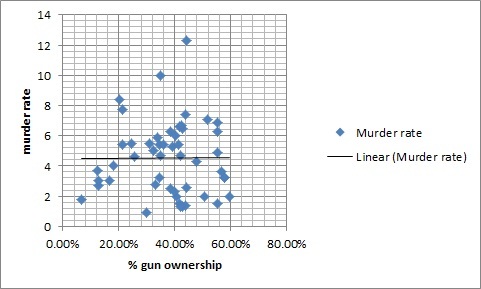 It’s a slippery slope to implicate the mere presence of an inanimate object to the murder rate, even if the object can be used for murder. It completely removes the human element and thus the culpability of the humans. 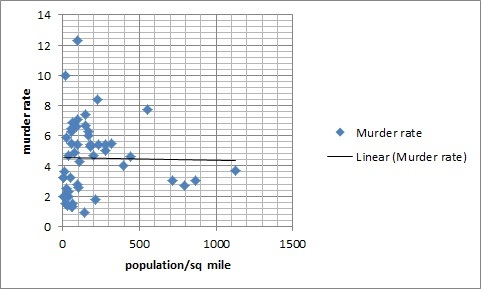 I think it would be interesting to see how the murder rates compares to other human-oriented statistics similar to what you did with the density comparison. Perhaps: per capita income, education levels, size and type of minority populations, gang activity, rates of other violent and non-violent crime, etc. 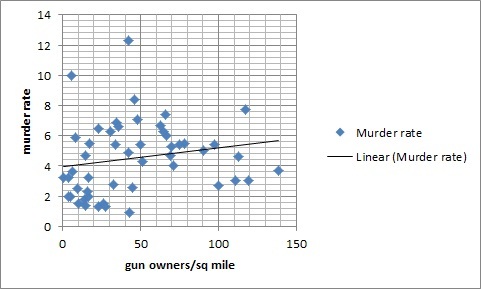 And, of course, there are loads of other intangible characteristics that are a lot harder to quantify and chart (such as respect for fellow man, etc) but I think would also have a distinct impact on an area’s murder rate. 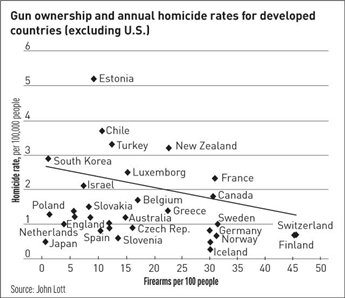 After all, it’s human holding the gun that I worry about – not the gun itself.